Along the Bay of Bengal between India and Bangladesh stretches a strange and beautiful flooded forest. This enchanted forest is called the Sundarbans Tiger Reserve and is home to more tigers than anywhere else on earth. There are said to be some five hundred tigers here. Nowhere else do tigers live in a mangrove swamp. And nowhere else do healthy tigers routinely hunt people. Yet about three hundred people are killed each year by the tigers of Sundarbans. No one knows why. The Man-Eating Tigers of Sundarbans is a mystery story, but it is also a story about science and myth, about people and tigers, and about different ways of seeing the natural world. 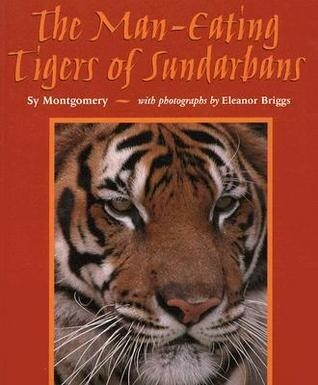 Sy Montgomery traveled to Sundarbans searching for answers to the mysteries surrounding these tigers. She listened to what scientists had to say about the unusual tiger behavior and to the stories of the villagers who revere the very animals who hunt them.